Uchefuna Christopher Okeke born 1933, until his passing away was regarded as one of the prolific artists from Nigeria. He was the founder of what is known today as Nsukka Artists and was a major player in its artistic renaissance. 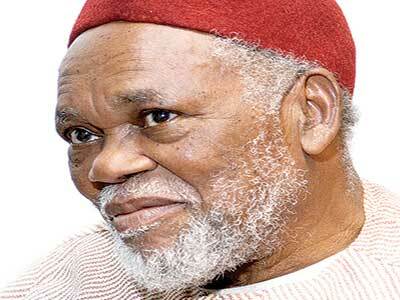 His practice reflected mostly Igbo cultural elements and subjects around Igbo mythology. He is popular for his drawings, which were mostly in pen and inks, and infused a lot of Uli motifs in his subjects. Okeke was also a pioneer member of the popular art movement Zaria Art Society known in the early 60s as the Zaria rebels. The movement was formed in 1958 and is the oldest art movement in Nigeria. Works created by members of Zaria Art Society reflected the true “Nigerian traditions, cosmology, folklore, philosophy, and depictions of everyday life in Nigeria”. Other surviving pioneer members of the art movement are Bruce Onobrakpeya, 83, Demas Nwoko, 81, Yusuf Grillo, 82, and Jimoh Akolo who is also 82. This event is an opportunity to connect with the legacy that is Uche Okeke, especially for those who never met him or encountered his work in his lifetime. See details of the full burial arrangement in the banner below.